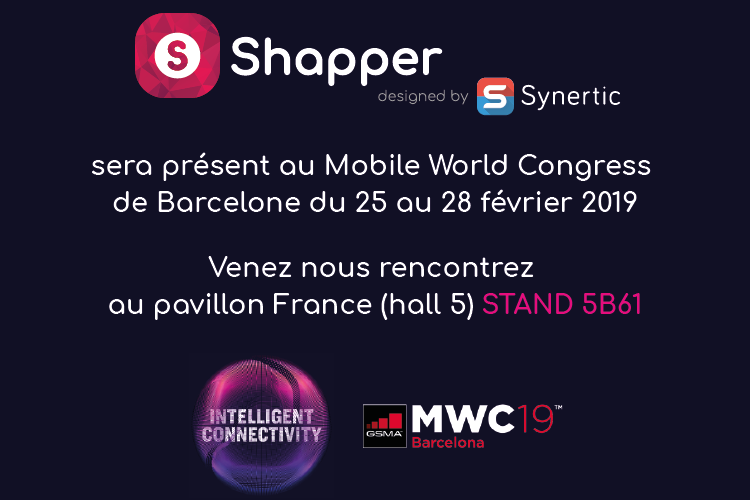 Shapper, solution to build and manage mobile applications without any knowledge of programming, will be present at Mobile World Congress 2019, the world’s largest event dedicated to the mobile industry, from February 25-28, 2019 in Barcelona. Come meet our team Hall 5 booth 5B61 (French Tech Pavilion) and attend a demonstration. The Mobile World Congress in Barcelona from February 25 to 28, 2019 is the largest mobile event in the world with more than 100,000 visitors, bringing together the latest innovations and cutting-edge technologies from more than 2,400 companies, with a popular conference program bringing together today’s visionaries to explore the most important topics in the industry.